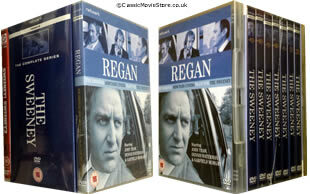 The Complete Sweeney collection including the complete TV series and the 2 films made and the pilot Regan, making this the ultimate set, and the lowest UK price with FREE UK DELIVERY. Please note this is not the older style 14 dvd set you see around but the latest 17 dvd set which is also now digitally remastered. 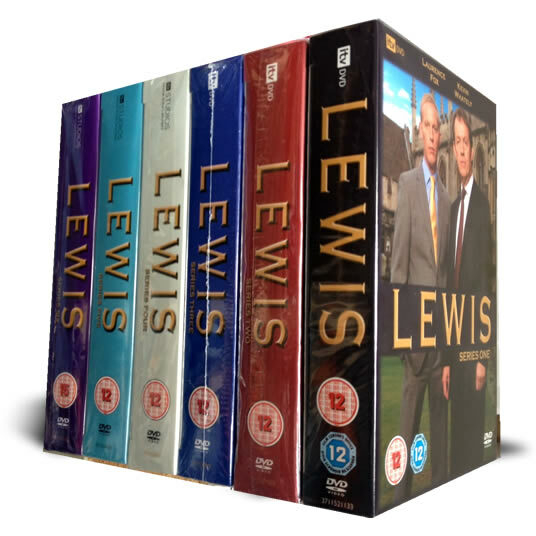 Please note this is 3 dvd sets and not one dvd box set making up the complete TV series, plus the films and the pilot. One of the best British TV Series of all-time and most certainly THE Best Police/Crime Drama that ignited the screen amidst all the controversy surrounding it back in the mid-70's. 'Get your trousers on - yer nicked'. Tough seventies London needs tough, hard-nosed coppers. Arguably the hardest double act to ever grace our screens. The Sweeney was one of the UK's finest action-drama series of the 1970's and is still being talked about today, 25 years after it was last shown. The series focuses on Detective Inspector Jack Regan and Detective Sergeant George Carter of the Flying Squad, Scotland Yard, as they do their best to thwart criminal activity in and around London. At the time, the show was considered the most realistic portrayal yet of the Police in a television series, helped by the fact that a real life ex-detective in the Flying Squad was an advisor to the show. 17 DVD Set delivered to your door. My wife and I are delighted with this package and are thoroughly enjoying an episode each night. 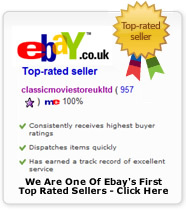 great value good service speedy delivery will buy from classic movie store again recommended. I've had this set for a couple of years and it is absolutely magnificent. Every TV episode has been completely re-mastered both in audio and video to top quality. There is also the choice of the original mono sound mix and a music only mix. Every disc is loaded with extras including special introductions, commentaries, episodes from old TV shows featuring either Thaw or Waterman, plus PDF files of Sweeney annuals and loads more. The only disappointment is that the two feature films have not had the remastering treatment but they don't look too bad, and both feature commentaries. If you have the original 16 disc set, then now is the time to upgrade before this disappears forever! Highly recomended.